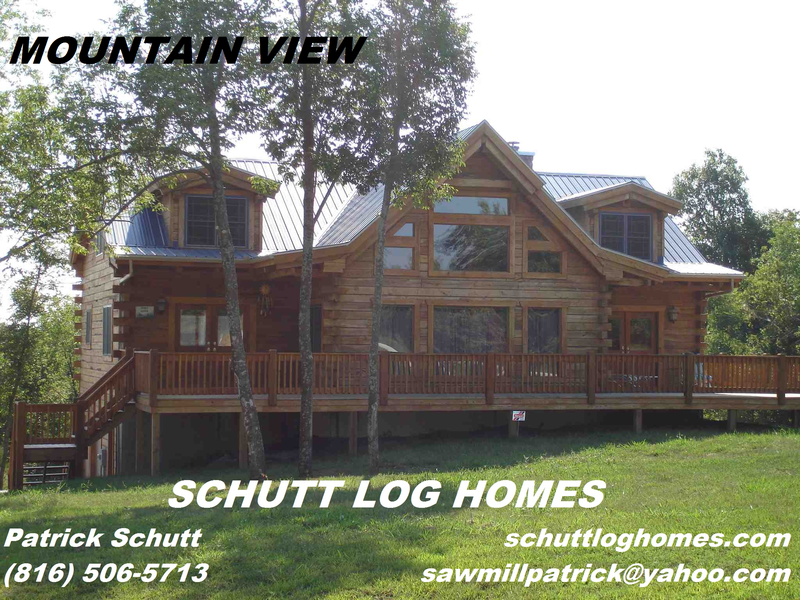 Schutt Log Homes and Mill Works is pleased to offer our “Chalet” Spring special. This amazing 2800 sqft. solid Oak log cabin kit for just $38950.00. This log home kit is one and a half stories, 3 bedroom, 2 full baths, a 2 car garage, hardwood floors, a large kitchen, open living areas, and a covered wrap around porch ready for a swing and a summer breeze! We have several solid Oak log cabin kits to choose from. Our 400 sqft. Hunting cabin has 1 bedroom, 1 bath with a covered porch is priced at $9995. 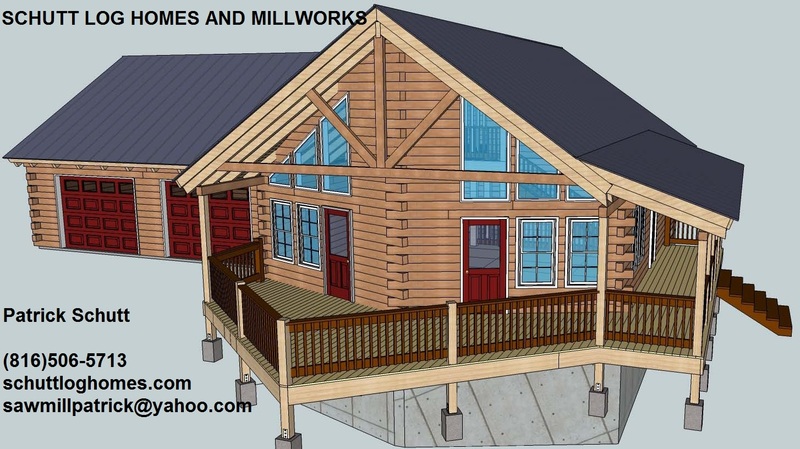 This cabin kit also comes in 2 and 3 bedroom models.Our Mountain View log home kit is 3100 sqft. with 3 bedrooms, 3 full baths, vaulted ceilings, hardwood floors, wrap around decks, and a spacious kitchen. This home kit starts at $46,900. 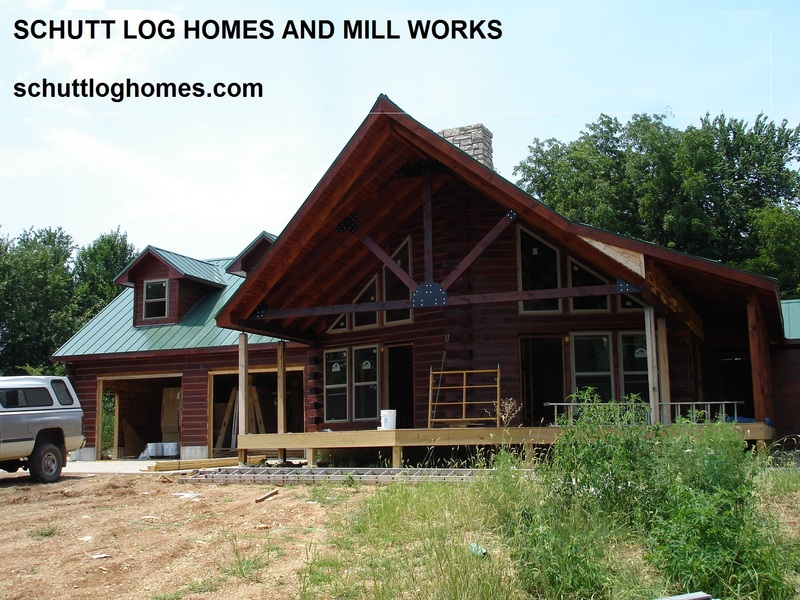 Exterior Oak Log Walls, Interior Oak Log Walls, Oak Roof Rafters, Oak Ridge Beams, Oak Porch Rafters, Oak Porch Post, Oak Railing, Oak Window Trim, Oak Door Trim, Oak Wall Trim, Oak Shoe Molding, Shiplap ceiling, Covered Porches, and more…. We can ship nay of our products anywhere in the US or Canada. Please check us out on the web or call for special pricing. Am I building a basement or a pool?